As a preliminary remark, it should be emphasised that the Swiss tax dispute environment reflects the allocation rules of the fiscal powers between the federal power, referred to as the Confederation and the federal states called cantons. Switzerland has 26 cantons and approximately 2,600 municipalities. In Switzerland, taxes are levied at three different levels: federal, cantonal and municipal. According to Article 3 of the Federal Constitution, the cantons are sovereign insofar as their sovereignty is not limited by the Federal Constitution. This means that each canton independently generates income by levying taxes, unless the Federal Constitution gives the Confederation the exclusive right to levy a particular type of tax. At the cantonal and municipal levels, the tax laws vary depending on the canton and the municipality. The cantons are mainly responsible for the assessment, collection and general administration of their own taxes (e.g., income and equity taxes, inheritance and gift taxes, real estate capital gains and real estate transfer taxes). They also support the administration of federal direct taxes (federal income taxes in particular). Owing to the fact that the cantons still have much independence, this can result in significant differences from one canton to another. The municipalities may only levy the taxes that their canton's constitution empowers them to levy. With regard to the resolution of tax disputes, Switzerland has a well-established and efficient practice. When confronted with an unlawful tax assessment, the taxpayer is generally not obliged to immediately challenge said assessment in court. Rather, he or she may turn to the tax authority that issued the tax assessment decision being challenged, to force it to make a new decision. For the purposes of this chapter, this procedure will be called a formal complaint. A formal complaint is a quick and efficient procedure that allows numerous questions to be resolved with little cost, the majority of these being technical questions. This formal complaint procedure thus eliminates the need for court proceedings and generally takes a few months. However, for complicated issues, this way of appeal offers limited solutions. In such cases, tax authorities usually prefer to wait for a binding judgment made by a higher independent body (i.e., a tribunal). It is very common for taxpayers to exercise their right to challenge the tax assessment decision of a tax authority. Tax authorities then issue a decision on formal complaint. If the taxpayer does not agree with this decision, they may start judicial proceedings before the competent administrative court. From an organisational point of view, administrative courts are fully independent from tax authorities. Judicial proceedings may take between one and two years before judgment, generally depending on the workload of the tribunals and the complexity of the matter. There are two levels of administrative courts (i.e., the lower administrative court and the second instance administrative court) before appealing to the Federal Supreme Court. Contrary to the formal complaint procedure before tax authorities, proceedings before the lower administrative court, the second instance court and the Federal Supreme Court are subject to court fees depending on the amount in dispute. Those fees are only to be borne by the taxpayer if they lose. In the case where the taxpayer partially wins, they will have to pay part of the court fees. To the extent that the taxpayer wins in court, their adviser's costs may be partially borne by the state. Each individual subject to tax in Switzerland needs to file a tax return each year in relation to income and wealth taxes on a self-assessment basis normally within three months of the end of the tax period, corresponding to the calendar year. Most cantons allow at least a deadline extension. The same applies to legal entities subject to corporate tax in Switzerland. With regard to partnerships (sole or collective proprietorship), income is attributed to each partner and is apportioned according to the investment in the partnership. Each partner is responsible for filing his or her own personal tax return and tax is paid at personal income tax rates. Wealth tax is moreover paid on the company's assets. Regarding withholding tax, stamp tax and value added tax (VAT), the principle of 'spontaneous taxation' applies, meaning that the taxpayer must determine himself the amount of tax due, declare it and pay said amount to tax authorities. In the field of taxes related to possession (e.g., cars, boats, dogs) and property transfer tax, taxation takes place by way of an administrative decision generally following the announcement from the taxpayer. The latter then has to pay the tax. After the filing of the tax return, it is reviewed by the responsible tax commissioner and an assessment decision issued by the tax authority follows. In this respect, it should be noted that the cantonal tax authorities can assess cantonal income taxes in respect of individuals and legal entities, as well as direct federal tax, which includes income tax. Other taxes (e.g., withholding tax, stamp tax and VAT) are assessed by the Federal Tax Administration only. The assessment decision determines the tax base, the applicable tax rate and the tax amount. This decision is an administrative decision, notified in writing to the taxpayer and jointly to the spouses. In the absence of an objection, it constitutes a final binding decision. In the presence of indicators showing that the tax return would not be accurate, the tax authorities may deviate from it after investigation. In this regard, it should be noted that the taxpayer has additional duties relating to their general duty to collaborate with tax authorities for ensuring that the taxation is complete and accurate. On request, they must provide additional information, documents, accounting documents, etc. In the case where the taxpayer does not comply with their obligation to file a tax return or if the taxable elements cannot be sufficiently determined, the tax authority is entitled to assess the tax due at its own discretion with regard to the factual elements at its disposal and empirical figures. Tax disputes usually start by way of an appeal by the taxpayer against a tax assessment decision rendered by a tax authority. At this early stage, the taxpayer has to file a formal complaint before the same tax authority that made the assessment decision. In the fields of withholding tax, stamp tax and VAT, disputes usually arise as a result of a tax audit conducted by the Federal Tax Administration. In situations where the taxpayer does not comply with their obligation to file a tax return or if the taxable elements cannot be sufficiently determined, the tax authority is entitled to assess the tax due at its own discretion with regard to the factual elements at its disposal and empirical figures. As a general rule, the right to tax expires five years after the end of the accounting period. This time period is suspended during appeal proceedings. A new five-year time limit starts every time the competent authority takes measures aiming at determining or getting the payment of the tax due and informs the taxpayer. In general, there is an absolute time limit of 15 years. An important element of the Swiss tax disputes is the voluntary disclosure system. Under Swiss tax law, taxpayers are offered a voluntary disclosure programme for undeclared assets and income, which are subject to taxation in Switzerland. The voluntary disclosure programme is also available to heirs in the case of inheritance. For both voluntary disclosure in inheritance cases and ordinary voluntary disclosure, there is no criminal prosecution (no penalties). The taxpayer thus only has to pay the due taxes and default interests for the past 10 years or the past three years before the decedent's death. To benefit from the voluntary disclosure programme, the application must be filed for the first time in the taxpayer's lifetime and deemed voluntary. The taxpayer has to disclose all relevant information of the last 10 years and has to cooperate with tax authorities. Heirs only need to regularise the last three years before the testator passed away. The taxpayer must endeavour to clear the total tax burden eventually and act proactively in cases of financial difficulties. The duration of the procedure depends on the canton involved and mainly on the complexity of the case. As of 30 September 2018, disclosures relating to assets held in jurisdictions with which Switzerland has an automatic exchange of information in place are no longer regarded as being voluntary and may not benefit from the voluntary disclosure programme anymore. Voluntary disclosures remain possible with respect to assets that are not covered by the automatic exchange of information. In the cases where the taxpayer was not aware of materially incorrect facts taken into account by the tax authority during the assessment or the audit, they may claim that the authorities have made an error of assessment based on the incorrect facts (petition for revision). Said petition for revision is only considered if important new facts or evidence are discovered and could not have been known during the ordinary proceedings, if the tax authority failed to consider important facts that were or should have been known, in the case of a significant violation of procedural principles, or if a crime or criminal offence influenced the tax assessment or decision. According to the Federal Constitution, all taxpayers, within a certain time and factual limits, have the right to access their tax files. This may be a useful tool for taxpayers. When the taxpayer objects the assessment decision made by the tax authority, they may file a formal complaint with the same tax authority that issued the assessment decision, within 30 days as from notification. The formal complaint procedure is an official appeal procedure that forces the tax authority to issue a new decision. This procedure is at the taxpayer's disposal regarding decisions issued in the fields of income tax (corporate income tax), wealth tax (capital tax), withholding tax, stamp tax and VAT for individuals and legal entities. As to the form and content of the formal complaint, it must be filed in writing. With regard to federal income tax, the complaint does not need, in principle, to be substantially motivated. The taxpayer only has to express their unquestionable disagreement with the assessment decision. However, formal complaint against an assessment decision made at the tax authority's own discretion must be well motivated. In that case, the taxpayer has to demonstrate that the assessment decision is obviously inaccurate. For the taxes levied by the Federal Tax Administration, the formal requirements are stricter. If the formal requirements are met, the tax authority has to re-examine the tax assessment decision and may either modify in whole or in part the decision or reject the taxpayer's formal complaint. As a preliminary remark, the proper delimitation of taxation remedies is rather complex because it depends on the type of tax in question, the jurisdiction of the tax authority and the precise characterisation of the contested decision. Moreover, owing to the growing complexity of tax law, various specialised commissions of appeal have been created, both at the cantonal and federal levels. An appeal before the cantonal appeal commission is open on decisions rendered in direct tax matters. In Geneva, the first instance administrative court is the competent court and is composed of one judge who acts as president and two other judges, specialised in tax matters. As for formal complaint, the appeal must contain a presentation of the facts, conclusions and evidence. The deadline for appeal is 30 days as from notification of the contested decision on formal complaint. The appeal can be filed by either the tax authority or the taxpayer. The court's decision on appeal must be substantiated and communicated in writing to the appellant and to the authorities participating in the proceedings. Contrary to the formal complaint procedure, appealing before a cantonal appeal commission is not free of charge. A decision of a first instance court can be appealed to a second instance cantonal court within 30 days of notification of the first instance court's decision. The appeal can also be filed either by the tax authority or the taxpayer. The procedural principles are the same as those applying before the first instance court. The Federal Administrative Court is the ordinary administrative tribunal of the Swiss Confederation. The main role of the Federal Administrative Court is to examine the legality of decisions in matters falling under the authority of the Federal Administration. Lower instances are mainly the federal departments and subordinate federal offices. The Federal Administrative Court hears appeals against decisions of federal authorities, in the fields of withholding tax, stamp tax and VAT in particular. As a general rule, submissions should be made in an official language of Switzerland (French, German and Italian). Its judgments may be appealed before the Federal Supreme Court. Generally speaking, fees are charged for proceedings before the Federal Administrative Court. Procedural costs are usually paid by the unsuccessful party. For pecuniary disputes, they may not exceed 50,000 Swiss francs. If the taxpayer considers that the final decision of the second instance cantonal court or of the Federal Administrative Court violates his or her rights, he or she may file an appeal before the Federal Supreme Court. Such appeal must be filed within 30 days of notification of said contested decision. The Federal Supreme Court is the highest judicial authority within the federal state. It issues final rulings in tax matters. It should be noted that the role of the Federal Supreme Court varies considerably from the cantonal and federal courts of first instance. This court actually does not re-establish the facts of the case. These facts may only be corrected by the Federal Supreme Court if it finds that they have been incorrectly established in a flagrant manner by the lower court, or that they have been based on a violation of law. This means that the Federal Supreme Court only takes its decisions applying the law on facts already determined. In general, the Federal Supreme Court renders its rulings in the language of the decision being challenged. As a preliminary remark, it should be underlined that regarding direct taxes, the fact that the taxpayer seeks to save taxes is not punishable. In Swiss tax law, offences and sanctions are designed as follows. Negligent failure to carry out procedural duties refers to situations, for example, where the taxpayer fails to file a tax return or does not comply with a duty to provide information. Regarding the sanction, for income and equity taxes, the penalty is limited to 10,000 Swiss francs. For other types of taxes, the limit differs. The unlawful reduction of the tax due may be penalised on two main grounds. On the one hand, tax evasion (i.e., where the taxpayer with intent or negligently omits certain items in their tax return, or generally causes a final assessment to be incomplete) belongs to the lowest category of criminal offences and is only subject to a fine. The fine may vary from one-third to three times the amount of tax evaded (Article 175(2) of the Federal Income Tax Act and corresponding cantonal provisions), with a statute of limitation of 10 years (Article 184 (1 letter b) of the Federal Income Tax Act). Regarding attempted tax evasion, the fine amounts to two-thirds of the amount determined for complete tax evasion. The statute of limitations is six years (Article 184(1 letter (a) of the Federal Income Tax Act). On the other hand, tax fraud is a qualified offence that requires the use of fraudulent documents (e.g., a balance sheet not showing the correct assets and liabilities). Inexact salary certificates are considered a more serious criminal offence. Indeed, Article 186 of the Federal Income Tax Act provides that the maximal penalties for this offence are imprisonment up to three years and a fine of a minimum of 10,000 Swiss francs. The statute of limitations in cases of tax fraud is 15 years according to Article 189(1) of the Federal Income Tax Act. Regarding income tax, in the situation where the taxpayer paid a too high portion of provisional taxes, meaning that the amount of tax actually due is lower than the amount provisionally paid, the overpayment is refunded. This procedure occurs automatically. In the case of overpaid taxes, these are refunded or set off against other liabilities due to the tax authority upon request. For federal income tax, the refund claim can be made up to five years after the year when the overpayment was made (Article 168 of the Federal Income Tax Act). In Geneva, however, the limitation period starts from the moment when the taxpayer becomes aware of the overpayment. In any case, the overpaid amounts bear interest in favour of the taxpayer. Administrative decisions may be challenged on the grounds that they are unlawful, by lodging a formal complaint or an appeal (see Section II). This would also be the case where administrative decisions would be contrary to legitimate expectation or to the Federal Constitution. In specific cases, the unlawfulness may also result from the taxpayer in question being discriminated against in relation to another taxpayer. Generally speaking, the rule is that only the taxpayer to whom the tax assessment has been noticed is entitled to bring a tax claim against the authorities. Depending on the case and the circumstances, other persons or entities may have the right to lodge appeal (e.g., another tax authority in inter-cantonal double taxation cases, legal representative, heirs, management of the bankrupt's assets). With regard to direct income tax, it should be underlined that the competent cantonal tax authority as well as the Federal Tax Administration has the right to lodge appeals against tax assessment decisions, without prior duty to lodge a formal complaint. Regarding VAT, entities having their seat or a permanent establishment on Swiss territory and that are united under a single direction may apply to be treated as a single taxable person (tax group). It should be noted that entities that do not operate a business as well as individuals may be part of a group (Article 13 VAT Act). In the case of such tax group, the group representative lodges the VAT return consolidating the VAT accounting of each group entities. This entity will therefore be the addressee of the tax assessment decision. All entities are, however, jointly responsible for the tax due (Article 15 VAT Act). With regard to withholding tax, the liable person is not the same as the one that has a right, under Swiss law or treaty law, to a partial or full refund of the withholding tax. Any person applying for a partial or a full refund has the right to lodge a formal complaint against the authorities. In the field of tax at source, a formal complaint may be lodged by any interested person, meaning the taxpayer and the debtor of the taxable benefit. As a general rule, each party bears their own costs. The taxpayer may, however, recover from the state part of the costs in case of success in front of the court. Even in cases involving substantial costs, the taxpayer will only recover a small part of them. Regarding the procedural costs, they shall be partially or fully borne by the losing party. Nevertheless, these costs may also be borne by the successful appellant if their behaviour caused or significantly delayed the investigation. Moreover, all or part of the costs incurred because of inquiry measures may be charged to the taxpayer or any other person who is required to provide information, in the situation where these inquiry measures have been made necessary by a breach of procedural duties. Given the overall complexity of taxation in Switzerland, taxpayers have an interest in discussing the more complex cases with the tax authorities at an early stage, prior to the implementations of any actions. Prospective taxpayers, such as international corporations considering moving to Switzerland, can obtain confirmation of their future taxation. The same is true for individuals. In this regard, tax rulings are commonly used in the Swiss tax practice, although Swiss tax law does not expressly refer to rulings. It should be noted that a tax ruling does not provide for any more preferential taxation than the applicable law does. This constitutes a quick and efficient way to provide for clarity in readiness for taxation. In order to obtain a ruling, the taxpayer has to disclose all relevant information, usually in the form of a letter. As recently confirmed by the Federal Supreme Court, cantonal tax authorities are the competent authorities to issue tax rulings. In practice, however, the cantonal authorities often consult the Federal Tax Administration with regard to direct taxes. If the competent tax authority agrees with the taxpayer, the ruling request is sent back to the taxpayer with the stamp of the authority, which provides the taxpayer with confirmation from the state on the tax treatment of a transaction or a situation. Tax rulings are not public. 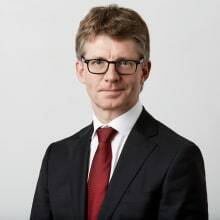 Regarding the binding effect of such rulings, the taxpayer is protected by the constitutional principle of good faith insofar as they rely on the information received by the competent tax authority. Swiss case law also especially emphasised the importance of implementing the facts precisely described in the ruling. There is no legal entitlement for a taxpayer to obtain a binding ruling, even though tax authorities are most of the time willing to deal with ruling requests. This means that a denial or a refusal of a ruling request cannot be contested by taxpayers. Finally, it is worth mentioning that rulings pertaining to withholding tax are to be obtained from the Federal Tax Administration, which is solely competent in this particular field. With regard to alternative dispute resolution means, double taxation treaties concluded by Switzerland usually refer to mutual agreement procedure. Such a procedure also constitutes a minimum standard under the Multilateral Convention to Implement Tax Treaty Related Measures to Prevent Base Erosion and Profit Shifting (MLI), signed by Switzerland on 7 June 2017. It may be initiated to eliminate double taxation that has occurred in violation of the treaty. In this context, advance pricing agreements are a specific kind of mutual agreement procedure in the area of transfer pricing. This type of procedure is independent from Swiss domestic law procedures. Thus, the time limits provided for by domestic law have no influence on the mutual agreement procedure and vice versa. In particular, the 30-day deadline to file a claim against a tax assessment decision is not suspended by a request for mutual agreement procedure. In order to save their rights according to Swiss tax law, the taxpayer will generally file a complaint against the tax authority, which will be suspended during the mutual agreement procedure. 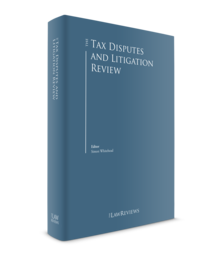 Depending on various conditions, recently revised double taxation treaties also provide for arbitration if the taxpayer requests the opening of an arbitration procedure, generally in transfer pricing cases. Furthermore, the MLI introduces more detailed arbitration provisions to existing treaties between Switzerland and countries that have also opted in for these provisions. In Switzerland, anti-avoidance rules are not contained in a specific act. They actually take different forms. The Federal Supreme Court developed through the years a general tax avoidance theory, in principle applicable to all Swiss taxes. The application of this theory, applied by all Swiss courts and tax authorities, has the consequence that tax authorities have the right to tax the taxpayer's legal structure based on its economic substance if the following conditions are met: the taxpayer's legal structure is unusual, inappropriate or inadequate to its economic purpose; tax considerations are deemed to be the only motive for the transaction; and the transaction effectively leads to significant tax savings to the extent that it would be accepted by tax authorities. Furthermore, on 7 June 2017, Switzerland signed the MLI in Paris, which entered into force on 1 July 2018. The MLI will serve to efficiently amend double taxation agreements in line with the minimum standards agreed upon in the Base Erosion and Profit Shifting (BEPS) project. Switzerland will implement these minimum standards either within the framework of the MLI or by means of the bilateral negotiation of double taxation agreements. These standards include the Principal Purpose Test (PPT), which serves to prevent treaty abuse by denying benefits under an agreement if obtaining that benefit was one of the principal purposes of an arrangement or transaction that resulted in that benefit, unless it is established that granting that benefit in these circumstances would be in accordance with the object and purpose of the relevant provisions of the agreement. The MLI is currently undergoing the standard parliamentary approval process and will enter into effect in accordance with Article 35 of the MLI. Even though Switzerland does not have a formal transfer pricing legislation, all related-party transactions with Swiss entities must respect the arm's-length principle. Generally speaking, Swiss tax authorities follow the OECD transfer pricing guidelines. Where the transfer price does not correspond to the arm's-length price, a hidden profit distribution is assumed and taxable income is adjusted (Article 58 of the Federal Income Tax Act). The arm's-length principle is also applicable in choosing the method of determination of mark-ups. In Switzerland, the thin capitalisation rules are embodied in a circular letter issued by the Federal Tax Administration (Circular Letter No. 6 of 6 June 1997). This circular letter sets out safe harbour rules that require a minimum equity ratio for each asset class. Any excess amount of debt is qualified as dividend subject to withholding tax and interests paid for excessive debt are not deductible (Article 65 of the Federal Income Tax Act). There is no CFC regime in Switzerland. Generally speaking, Switzerland's tax treaty network is undergoing extensive renewal in accordance with the OECD standard, particularly so with the recent signature of the MLI. Regarding the interpretation of international tax treaties, it is accepted that they must be interpreted in accordance with the rules of public international law. Section 3 – Interpretation of Treaties of the Vienna Convention on the Law of Treaties, which entered into force in Switzerland in 1990, thus applies for the interpretation of DTTs. In a case of 5 May 2015, relating to total return swap agreements and other derivatives, the Federal Supreme Court denied the refund of withholding tax on the banks' declared dividend income for the main reason that the banks were not beneficial owners of the income, as the banks acted as a sort of intermediary companies that were legally, economically or factually forced to transfer the dividend income to their counterparties. Therefore, the banks could not claim the benefit of the double tax treaty (Switzerland – Denmark in this case). In this regard, the Court stated that the beneficial ownership criterion is an implicit requirement in all tax treaties. Thus, even if the double tax treaty Switzerland – Denmark did not contain an explicit reference to this requirement, tax authorities are entitled to apply the beneficial ownership requirement. The Federal Tax Administration will continue to apply its strict administrative practice and refuse refund of withholding tax in situations where it is assumed that the beneficial ownership is affected owing to derivatives strategies. The opinion of the Federal Supreme Court has been confirmed in its subsequent judgements. The entry into effect of the MLI will also have a significant impact on existing double taxation treaties, in particular with the introduction of the PPT as a general anti-abuse rule. In two recent cases, the Federal Supreme Court removed uncertainties surrounding tax rulings and offshore structures. In this regard, the Federal Supreme Court confirmed that the tax authorities should be more strict when dealing with exotic offshore structures. Moreover, the roles between the cantonal and federal tax authorities have been clarified, meaning that only cantonal tax authorities have the power to grant tax rulings. Until February 2017, following a decision of the Federal Supreme Court, Swiss tax authorities had adopted a formalistic view on the notification deadlines to be respected to avoid the retaining of withholding tax (dividend notification procedure). The 30-day deadline for notification was seen as a forfeiture deadline rather than an indicative deadline. Consequently, in the case of non-respect of such notification deadline, withholding tax was immediately due on any dividends that were not declared in the notification procedure and interest on late payment was to be paid on the withholding tax due. However, on 15 February 2017, the Swiss Withholding Tax Act was amended in connection with the application of the notification procedure on intra-group dividends (withholding tax relief at source). It follows from this amendment that, although the 30-day deadline remained unchanged, interest for late payment is now prohibited. Therefore, during a period of one year following the entry into force of the new provisions, companies that paid such interest to the Federal Tax Administration have been able to claim these payments back. The new regulation also provides for a retroactive effect whereas the refund shall also apply to cases that occurred before the entry into force of the new provisions, unless the tax claims or the late payment interest claims are time-barred or have already effectively been assessed prior to 1 January 2011. More generally, Swiss tax authorities also pay more attention to transfer pricing issues and take a stricter approach with regard to structures and intra-group transactions involving offshore entities and locations. The Swiss tax authorities are supposed to follow the OECD Guidelines, and therefore the methods said guidelines propose. It is, however, recommended to request a tax ruling depending on the complexity of the case. Finally, the Federal Supreme Court has lately adopted larger views on the international mutual assistance in tax matters. In a recent case, the Court has allowed the transfer of data requested by the French tax authorities despite the fact that such data were stolen from a Swiss bank and delivered to the French authorities. Indeed, the judges held that the transmission of data took place out of Switzerland, which did not make it a punishable act under Swiss criminal law. Therefore, the French request for mutual assistance could not be deemed an act of bad faith, as was sustained by the lower court. This judgement has once more decreased the extent of the bank secrecy, reflecting Switzerland's will for broader cooperation against tax avoidance. In this connection, it must be borne in mind that the federal law on the automatic exchange of information has entered into force in 2017. The first exchanges took place in autumn 2018. Following the rejection of the Corporate Tax Reform III by Swiss voters on 12 February 2017, the Federal Department of Finance has worked on a new corporate taxation proposal entitled Tax Proposal 17, and subsequently renamed Tax Reform and AHV Financing (TRAF). This reform aims at making a significant contribution to having an appealing location and, thus, to added value, jobs and tax receipts. It should additionally meet international requirements concerning corporate tax law. Generally speaking, the TRAF contains several tax measures to maintain Switzerland's competitiveness, in particular the introduction of cantonal patent boxes and R&D tax deductions. The TRAF was accepted by Parliament on 28 September 2018, and a referendum is likely to be held on 19 May 2019. If approved by Swiss voters, the planned measures will come into force in 2020. More generally, as mentioned above, it should be remembered that Swiss tax authorities take a stricter approach in many areas, such as in transfer pricing cases, and that many practices that have previously been accepted, in the field of offshore structures for instance, are being challenged more and more by Swiss tax administrations. This particularly comes as a result of the massive international effort led by the OECD to fight against tax avoidance. 1 Jean-Blaise Eckert is a partner at Lenz & Staehelin.